Top Ten Links 2.15: Presenting Tips, Net Neutrality, eReaders and the Environment & More! 1. Stop BREAKING THE BASIC RULES of presenting! « thewikiman another great presentation from Ned Potter, I think this one spent most of last week on the front page of Slidehsare.net. 2. House passes anti-net neutrality bill via @huffingtonpost VenessaMiemis Gotta love net neutrality being refered to as a FCC power grab. Net neutrality is important people pay attention to efforts to thwart it! Leveraging barcode-scanning technology, the new feature allows library patrons to retrieve basic catalog information (real-time access from the library’s ILS system) and content from third-party sources such as book reviews, plot summaries and author bios from anywhere in the library using their mobile phone. Library cardholders can then check out the book with one click of a button. BookCheck is immediately available for Android device users. Support for iPhone and select Blackberry devices will follow shortly. 4. 2011 State of America’s Libraries Report via @tadawes the latest State of America’s Libraries Report from ALA. Even if you don’t read the whole thing read the executive summary. 5. So, I’m dead. What’s the deal with my digital data? I think the comments are more interesting that the article post itself, including what happens to your WoW toons? By June of 2011, the Red Rocks Community College and the Douglas County Libraries will not only offer eBooks from CIPA’s authors for checkout through their library catalogs, but will also allow click-through purchases of these titles. 7. Books Without Batteries:The Negative Impacts of Technology a look at the environmental effects of ereader creation. To make one e-reader requires 33 pounds of minerals, plus 79 gallons of water to refine the minerals and produce the battery and printed writing. The production of other e-reading devices such as cellphones, iPads, and whatever new gizmo will pop up in the years ahead is similar. “The adverse health impacts [on the general public] from making one e-reader are estimated to be 70 times greater than those for making a single book,” says the Times. Then you figure that the 100 million e-readers will be outmoded in short order, to be replaced by 100 million new and improved devices in the years ahead that will likewise be replaced by new models ad infinitum, and you realize an environmental disaster is at hand. We will have lost a chunk of our planet as we lose our minds to the digital juggernaut. Here’s what it takes to make a book, which, if it is any good, will be shared by many readers and preserved and appreciated in personal, public, and university libraries that survive the gigantic digital book burning: recycled paper, a dash of minerals, and two gallons of water. Batteries not necessary. If trees are harvested, they can be replanted. Social networking icons that link to your mobile profiles and pages. A mobile-optimized “Donate Now” page. Imaginarians are tasked with designing and building the human imagination. We focus on the creative and learning processes that take place in the human brain and soul. We help people construct realities and worlds that meet their desires. Imaginarians help people find their voice, identity and creative-self. We foster an environment in which these can soar. The bipartisan legislation would allow consumers to demand particular websites stop tracking and selling their online behavior. As it now stands, internet surfers are bound by lengthy and often hidden terms-of-service agreements by which a company dictates how their surfing habits and data will be used. 2. Don’t drive in good heels. 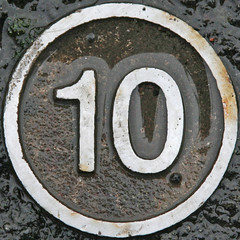 Top Ten Links 2.15: Presenting Tips, Net Neutrality, eReaders and … http://bit.ly/gY4ZGc -FREEDOM! RT @America1First: Top Ten Links 2.15: Presenting Tips, Net Neutrality, eReaders and … http://bit.ly/gY4ZGc -FREEDOM!